About this time last year I had an interesting conversation with a friend that wanted to get more involved in ice-fishing. 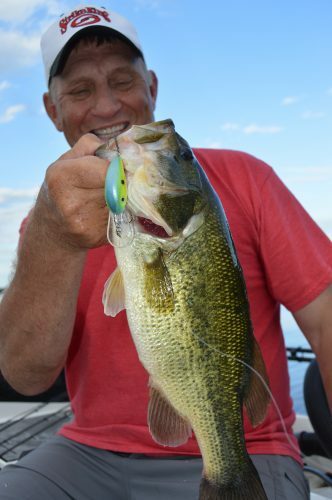 He is an accomplished open water angler: He has a nice boat that’s rigged with sonar and an electric motor. He has several rods and reels and a couple of tackleboxes. We talked about the equipment that he should consider for ice-fishing. Early in the conversation sonar entered the picture. I suggested that sonar was the tool that many successful ice-anglers consider to be their most important piece of equipment. My friend had never used sonar in his very limited ice-fishing experiences and he really couldn’t see the need for it. He was going ice-fishing the next weekend with some friends, so I offered to loan him mine. He said that he would “take it along, but it really isn’t going to help.” Short story even shorter: When he returned it on Sunday afternoon after a day and a half on the ice, he asked me “do you want to sell that thing, and if not, where’s the best place to get one?” He discovered what most people who fish through the ice discover: Sonar will help you catch more fish. Here’s how. In the mind of many ice-anglers, revealing the depth isn’t a depth-finder’s most important function: Revealing fish is its primary function. A depth-finder adjusted properly, and it’s easy to adjust them properly, will show the tiniest of jigs. They will certainly show if a fish is below your hole in the ice. 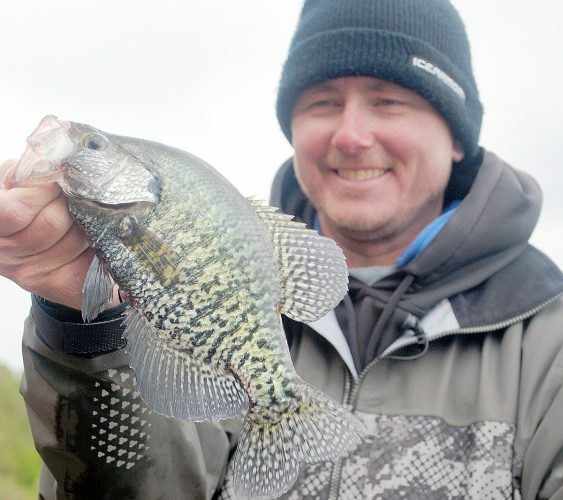 Many ice-anglers will drill a good number of holes in an area and then move from hole to hole searching for fish. They put the transducer in the hole, drop their bait down, and watch for a fish to approach it. If no fish life is detected in a couple of minutes, they move to another hole. They keep moving until they find fish. When they find a hole with fish underneath, they spend some time there. This is when the depth-finder takes on a new role. Once we’ve found some fish, we’re going to use the sonar unit to position our bait. When a group of fish is found, there will usually be some that are more aggressive. Let’s say we’re fishing for perch. Our sonar reveals some that are very close to the bottom. Lower your bait until it’s a few feet above them and see if they’ll come up to it. If they do, they’re often going to bite. If they don’t, lower it so it’s a little closer to them. Make the aggressive fish come up to the bait. Remember this: They’ll usually move farther in clear water. You need to get it closer to them in stained water. This brings us to another function your sonar will perform. We find some fish, and they come up to look at the bait, but they don’t eat it. This means they’re interested, but they’re being choosy. If they look but don’t eat, you need to do something that will convince them to do so. Try a different color or size. Maybe move the bait slower or faster. Try different presentations until you find what they want. If they don’t respond to anything you show them, find a different hole but remember to come back to that one. At some point during the day, they’ll eat. Vexilar is the pioneer in ice-fishing sonar. They’re easy to use and will reveal all you need to see to catch more fish. Whatever your needs or wants, they have a unit for you. Just realize that if you want to be more successful in your ice-fishing, and if you want your ice-fishing to be more fun, a sonar unit will be a huge step in that direction.